Catholic Renewal: So, who was this Julian of Norwich? So, who was this Julian of Norwich? Som nyligen utlovat kommer här ett gästinlägg om den medeltida mystikern Julian av Norwich. Välkomna, alla, att reflektera över texten och ställa frågor till författaren som är expert på henne. You're very welcome as a guest writer on this blog, John-Julian OJN! A short presentation of you should include saying that you are the founder of the Order of Julian of Norwich, and that you also translated her writings: A lesson of Love, The Revelations of Julian of Norwich. I hope we may have an interesting discussion of the ideas of Julian in this posting...! Feel free, everyone, to pose questions and to reflect on her view on the feminine aspects of God, sin, prayer, etc, after reading the posting about her below! Here you may also read a poem (edited for a prayer book) by "Mother" Julian, also called "Lady" Julian. As one might have anticipated, there was a great brouhaha about her use of the phrase “…Our mother Jesus…”. She was accused of heresy, of radical feminism, of showing dishonor to the Gospel and the Lord. I, on the other hand, wrote to congratulate her on the use of that phrase – taken, as it was, from the writings of the great 14th century anchorite and mystic Julian of Norwich whose work I had translated from its original Middle English, and who had become the patroness of the monastic Order of Julian of Norwich founded in 1985. Those who criticized Bishop Katharine had only demonstrated their own ignorance of the venerable mystical traditions of the Christian Church. We know little for certain. She was a devout English woman (probably of the gentry or nobility) born in 1342, who, at the age of 30, was thought to be on her deathbed and was granted a series of sixteen visions of the crucified Lord. But she recovered and spent the last years of her life in a single cell attached to a parish church in England’s Norwich. That is, she became an anchorite, an enclosed hermit, a solitary recluse – considered then to be the highest and holiest life possible in medieval England. And, after twenty years of prayer and reflection, she wrote a book to describe and explicate her visions – the first book ever written by a woman in English – generally known as “The Revelations of Divine Love”. Perhaps the very writing of that book was as radical a thing as any of the insights and ideas contained in it. Julian lived in the late Middle Ages when women were expected to be silent and submissive. Further, she presumed to write in the ordinary Middle English vernacular (which made her writing available to many literate but “uneducated” common people) at a time when all church writing was in Latin, and all other business in England was conducted in Norman French. Two later (16th century) complete manuscript copies of her book survive, along with several other fragments and an early (1670) printed version. Julian’s first principle derived from the insights she received in her visions was the unqualified, endless, and absolute love of God for every human being – a love which by its very nature denied the existence of any wrath in God, and concluded that even the worst sin on a human’s part did not diminish that divine love. Sin, for Julian, “hath no subtaunce”. It is already forgiven by God -- even before it is committed. Her common metaphor for sin is “blindness” – the inability of the sinner to “see” the love, grace, and forgiveness offered by God. In a medieval church and culture that directed most of its attention to sin and the fear of divine punishment, this seemed a radical insight (although it was certainly not new with Julian). It still presents a challenge to much current religious thought which sees God primarily as a stern and uncompromising judge. Julian’s metaphor which described Jesus/God as “mother” may be the most controversial aspect of her teaching, but she not only defends this by drawing extensive parallels between the actions of a mother and those of Jesus: birthing, nurturing, training, comforting, protecting. Julian certainly never saw Jesus as “female” (she always uses the masculine pronoun when referring to him!) but recognized that God and Jesus transcend the merely masculine or paternal. In fact, Julian suggests that what we call “mother love” originated in God and Jesus and is only imitated by our earthly mothers. For Julian prayer is almost more a state-of-being than an activity. True prayer for Julian is usually and predictably “barren and dry” and seldom has any emotional component. It is mainly a “true, gracious, lasting intention of the soul” to be united to God and one with God’s will, and is to be undertaken with no eye on its earthly “benefits” or “results”. “Failure” in prayer for Julian is attributed to “our feeling, our foolishness”. Perhaps the greatest difficulty for Julian is the apparent paradox between a perfectly loving God, on the one hand, and the existence and consequences of sin, on the other. She recognizes the tension between the insights granted in her visions and the strict and formal teachings of the Church on sin, purgatory, and hell, but Julian was willing to live with that unresolved tension – a quality which Thomas Merton claimed made her one of the two greatest English theologians Newman being the other). Finally, living in one of the most devastating centuries in western history (the Black Death, the assassination of a king and an archbishop, the country-wide Peasants’ Rebellion, the Great Schism in the papacy, the beginning of the Hundred Years’ War) Julian remains incredibly optimistic. Her vision of the universe as a tiny ball in the palm of her hand assures her that her world will survive because God made it, God loves it, and God keeps it. Her conviction that “All shall be well, and all shall be well, and all manner of thing shall be well” has become the most famous watchword of all of Julian’s writings. This is merely an experiment. I will make this comment, but this was just a guess because even the instruction to leave a comment are in Swedish, so I took a guess to get here. Sorry, if it is all in Swedish, I'm not going to be able to do offer much by way of comments. Of course, the picture is NOT a picture of Julian since no one knows what she looks like. It is a medieval lady, and probably Julian would have worn something that looks much like the headdress, but it IS NOT a picture of Julian. I'll leave your test here - as a request to everyone to comment in English if possible, so you may answer directly. If someone prefers to post in Swedish I may translate eventual questions so you can answer. Thanks for commenting about the image - I should have mentioned that! I like illustrations in the blog every once in awhile though - to lighten up the text and make it easier to read. 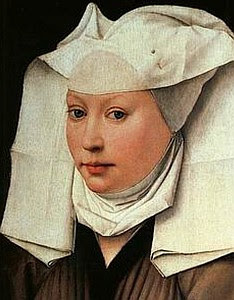 john-julian ojn, Just to say thanks, I greatly appreciated your piece on Julian of Norwich. Having lived in England for many years, I have beem to Norwich and Norfolk country several times. I am also a hermit or solitary, but not an anchorite, like Julian. I remember having visited the webiste of your Order a few times in the past. I will Google for it now, as you did not give it in your post. Charlotte could eprhaps post it. The link is in my presentation in the beginning of the posting. Will put a little note about it in a new posting a bit later on. But feel free to comment things already if you wish, everyone! "She recognizes the tension between the insights granted in her visions and the strict and formal teachings of the Church on sin, purgatory, and hell, but Julian was willing to live with that unresolved tension – a quality which Thomas Merton claimed made her one of the two greatest English theologians Newman being the other)." I found this wonderfully liberating, when I encountered Mother Julian, and it was one of the things that motivated me to join the Order of Julian of Norwich as an Associate. "But this was shown: that in falling and rising we are always preciously kept in one love. For in the beholding of God we do not fall; in the beholding of ourselves we may not stand; and both of these are true, as I see it"
God, Julian tells us, looks on us "with pity, not with blame" - a message of such profound liberating power in a world where people either wallolw in their guilt, or pretend to absolute innocence and non-involvement. I hope people will find this interesting posting of yours now after the holidays, so we may keep talking about it...! I said I had a few questions to start with - I waited with them until now. I wonder what you think Julian, who saw the feminine aspects of God, would say about women priests....? I also wonder if you could write a bit about her teachings about mystical things? Anyway, Julian was a Catholic woman of 14th century England. There is no way she would have even CONSIDERED the possibility of women being ordained - the idea would never have entered her mind. On the other hand, if you could transport her to the 21st century, I have no doubt that she would be strongly supportive, since by even writing her book, she suggests at least a certain equality between sexes on religious matters. However, she was used (I think somewhat inappropriately) as the patron saint of NOW, the women's ordination movement in the Church of England. When I founded the Order I had a lovely letter from Archbishop Ramsey saying he was so happy to see Julian used "as she would wish to have been used". I hope that I captured something of her spirit by making monks and nuns of totally equal status in the Order (e.g., first superior was male [me! ], second superior was female, third and current superior is male). And the Order has been wholeheartedly in support of the ordination of women from the beginning - one of our three priests is a woman. Julian's "teaching about mystical things"? Well, I could fill a book, and - speaking personally- this is my major attraction to her (and it in also the area in which I think the Church - Catholic, Anglican, or Lutheran – has utterly failed its people)! I think the whole mystical dimension of Christianity has been simply dumped -- and no wonder that our young people are looking for "spirituality without religion". (1) Julian understood the mystical reality that "humanity" was part of the nature of the Son (the Christ) BEFORE Creation -- i.e., before what we call Jesus's birth. The second Person of the Trinity has ALWAYS been "human". (Note: in the timelessness of the Holy Trinity, "change" doesn't/cannot happen. Whatever God "became" in our time-bound view, God always was, is, and always will be....). (2) Julian not only refers to Jesus as "mother", she is even more radical than that! Here are her words (from Chapter 60): "This fair lovely word "mother" is so sweet and so kind in itself, that it can not truly be said of anyone nor to anyone except of Him and to Him who is true Mother of life and of all." Fantastic: the SOURCE of "mother love" is Jesus -- and when our mothers demonstrate true "mother love" they are only imitating Jesus, not the other way 'round. (3) Julian understands the mystical IDENTITY between Christ and the Church (Chapter 34): "...for He IS Holy Church—He is the foundation, He is the essence, He is the teaching, He is the teacher, He is the goal..." She has almost unparalleled love and respect for the Church as a kind of second Incarnation! (And, as Vatican II made clear, the Church is the "plebs sancta Dei", the holy people of God -- so the "holy people of God" ARE God's presence itself: the Assembly of Christians IS the "Body of Christ".) We may tear apart the Church (as we have); we may introduce enmities within the Church (as we have); we may hate and fight and curse each other (as we have), but the Mystical reality remains: the holy people of God assembled IS the Body of Christ. (4) Chapter 45: "God judges us based on the essence of our human nature which is always kept constantly in Him, whole and safe without end..."
(Note: Julian uses the Middle English word "substance" which I have translated as "essence" because that is what "substance" meant in the 14th century.) Our very human nature itself is "kept constantly" in God even as we are given earthly bodies. God does not create us "outside" Godself, because we share with God our spiritual nature -- there is "that of the divine" in each of us. Julian wrote: "For in every soul that shall be saved is a divine will that never consented to sin nor ever shall; just as there is a savage will in the lower part of man which can will no good, so, too, there is a divine will in the higher part of man which will is so good that it can never will evil, but always good..." (Chapter 37). This is a powerful denunciation of the Augustinian/Calvinist idea of the depravity of human beings -- for Julian, no matter how wickedly or savagely we may behave, there is an antidote in the "divineness" that God has built into each of us. Well, now, there is a lot of mystical meat to chew on. I'd welcome questions or further discussion. Yes - you guessed right - it means "post a comment". You're right that the idea of women ordinations would probably never have crossed Julian's mind in the time and surroundings where she lived - hm...well, who knows...? At least she didn't write about it. But it's interesting to see how much she actually says, which must have been received as news during her time... Do you know anything about that - how people around her reacted to what she said/wrote? I mean, it wasn't safe in those days to say certain things even if it was inspired by a vision. It could be misunderstood, seen as heresy, etc, etc. (Cf. Jeanne d'Arc or Bridget of Sweden - two other visionaries - where one was burned, the other had better luck even though her sharp criticism - because of her political influence.) It's still a bit like that today - even if the methods of punishment today aren't as severe as then. Do you think Julian may have been of noble origins - as she's often mentioned as "Lady" Julian (even though we don't know who she really was)? If so - could that explain that what she said about women was received rather than condemned by the Church? Could someone else have said the same things and been listened to? Regarding mystical things, it's like there are two lines in the Church of today. Maybe Julian could help us here, to integrate what is a genuine part of the faith? May I even say the deepest essence of faith, where God shows that s/he is real, and can be experienced, and not just a theory in the head...? Do you know what Julian would say about mysticism in other religions? Did she see the possible unity between what may seem different on the surface? It's really wonderful what she says, that the SOURCE of "mother love" is Jesus...! But her view on the Church seems to be quite traditional...? Still - it's at times hard to imagine that what we see in the Church is part of something holy. I mean - so many bad things happen in the Church too. And yet - God doesn't abandon us, but keeps blessing us, stays close to us. That's really a divine perspective on things! At the same time deeply human. I look forward to further thoughts and comments about these things from you and others who read this! The only early referencs that gives a title to Julian calls her "Dame Julian". "Dame" was the typical title for a vowed nun in the Benedictine tradition (I think there even are few reactionary communities that still use the title) and was only a translation of the Latin "Domina" which means "Lady" (as the masculine "Dominus" means "Lord"). And, of course, the likelihood that Julian was at least gentry, if not nobility, was very great -- since an anchorite had to prove to the bishop that s/he could support her/himself financially before the bishop would allow formal enclosure in an anchorhold. So, she was probably originally wealthy. Those of us close to Julian also often refer to her affectionately as "Mother Julian". And in the Order we refer to her as "Saint Julian", since she has been placed in the Anglican liturgical calendar (which is the only way we Anglicans have of "canonizing" anyone -- and, by the way, that's the same method used by the Catholic Church until the 12th century when papal authority took over). There is only one evidence of any contemporary (i.e., 14th century) reactions to Julian and that is in Margery Kempe's book. Margery visited Julian in about 1413 and writes about it: "And then she [i.e., Margery] was bidden by our Lord to go to an anchoress in the same city [Norwich] who was called Dame Julian. And so she did, and showed her the grace that God put in her soul of compunction, contrition, sweetness, and emotion, compassion with holy meditation and high contemplation, and full many holy words and conversations that our Lord spoke to her soul, and many wonderful revelations which she showed to the anchoress to know if there were any deceit in them, for the anchoress was expert in such things and good counsel could give." The only other "commentary" we have on Julian is the Colophon added at the end of the book by the scribe. Well, there is also the fact that several legacies were left to her, and some small snippets of her writings were apparently copied out later by unknown writers and bound with other's spiritual writings. But given the paucity of surviving MSs, my guess is that Julian did not get much public exposure during her lifetime. In that line it is interesting that the ONLY serious attention given to a woman in the medieval world would have been if she could claim to be an orthodox Christian visionary -- and even then she was not universally respected, as you know. Julian's thoughts about mysticism in "other religions"? Oh, my, no! The only "other religions" she would have even heard of would have been Judaism and Islam, and the "Saracens" (i.e., Muslims) were, of course, universally despised (witness the crusades) -- and Julian is quite clear that unconverted and unbaptized Jews are in hell! She MAY have known of the work of someone like Birgitta (we DO know at least that there was a copy of Birgitta's book in Norwich in Julian's day - it was mentioned in a will) or the Rhineland mystics. She also, of course, knew of Dionysius the Areopogite (she refers to him as "St. Denis"), but we don't know if she had read his work or not. But they were all, of course, Christian mystics. "In that line it is interesting that the ONLY serious attention given to a woman in the medieval world would have been if she could claim to be an orthodox Christian visionary -- and even then she was not universally respected, as you know." That's interesting.... It's rather the contrary situation than today. Someone today who may have visions like Julians' would be seen with great suspiscion.... Even from the Church - especially the Catholic part of the Church - where everything like this is thoroughly investigated. But we have split the Church since the days of Julian, and keep splitting it up in smaller and smaller pieces. Which must be quite bad in the eyes of God...? I wonder what Julian would have had to say about that... That all shall be well one day...? It's also interesting that Julian seems to have been a spiritual director. It must be quite unusual for a woman in those days? I also wonder what you think are the most important things that the Church may learn from Julian in our days...? Others may have reflections or questions too. Feel free to join this conversation! 1) My guess is that Julian would be horrified by the divisions among Christians. In a sense she says pretty clearly, "I accept the Church's teachings entirely, but I have some personal insights which seem at variance." And I would suggest that she would feel the same way about the divisions today. My guess would be that she would say something like, "Maybe you personally see things differently, but that doesn't mean the Church is all wrong. Just live with the tension. Trust your own insights -- and trust God as well!" 2) Julian as spiritual director? - I think that people did go to vowed and devout women for advice. Maybe "spiritual director" is too strong a term, but we know of many who supported these women financially, so they must have valued their insights. 3) What might the Church learn from Julian today? Well, first, I think, is that we should stop thinking of God as a wrathful judge and see God as overwhelming and enfolding love -- even if we are in the midst of the worst sins. One of her most radical and powerful ideas is that "there is no wrath in God", and God does not "blame" us for our sins, but pities us for having them. For Julian, sin is not so much an offense against God as it is an offense against our own true (and good) human nature. And so her most familiar metaphor for sin is "blindness" - we sin because we do not see true reality! Secondly, we must be wiling to accept a Divine Mystery and not expect to codify everything in doctrine or even in systematic theology. There is so much we can never understand about God while on earth...and we ought to allow God the "privacy" of that mystery. Third, Julian promotes a powerful optimism - a faith that no matter how bad things look, God's will is going to be done eventually, and "all shall be well". I think she would strongly encourage patience in adversity. I have a few thoughts as an answer to what you wrote. The teachings of the Church has changed quite a bit since her days. Is it possible to have the same attitude as hers today and not go against one's conscience? Or any dogmas about Mary and the infallibility of the Pope. It was much easier in those days to embrace everything that the Church taught - since there weren't anything in the teachings that could go against anyone's conscience. To see more of the reality through visions is another thing... And as long as it doesn't go against what Christ has taught us through his teachings and living example - or against our conscience - there should be no reason to worry... But everything needs to be tested of course. Regarding "spiritual director" - I guess it's the most common term today for what she did... Or are there any other English words for it? I wonder if most people today even think of sin as part of reality...? It's almost gone the other way - fallen in the ditch on the other side of the road so to say - to quite a fluffy view on God. "Sin" seem to be a less used word - while people feel an undefined shame or guilt - not for anything they've done - but at an existential level. At least according to some articles I've read. Well, in some Christian environments sin may be accentuated too much instead. >we must be wiling to accept a Divine Mystery and not expect to codify everything in doctrine or even in systematic theology. There is so much we can never understand about God while on earth...and we ought to allow God the "privacy" of that mystery. >Julian promotes a powerful optimism - a faith that no matter how bad things look, God's will is going to be done eventually, and "all shall be well". I think she would strongly encourage patience in adversity. Mirakel - bluff eller verklighet?